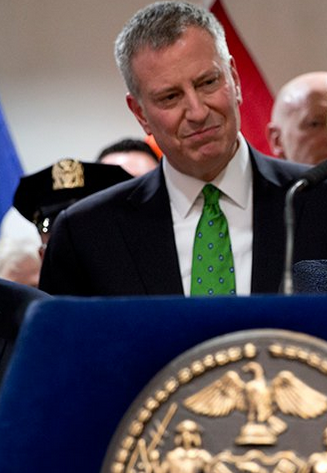 After a 25-year ban, the NYC LGBT community have finally been allowed march in the largest American St Patrick’s Day parade, under their own banner, in an event that has been held since the 1760s. They had previously been allowed march, but with no identifying banners or badges. Grand Marshal this year for the 255th NYC St Patrick’s Day parade was former Senator, George Mitchell, who had played a major part in the peace process in Northern Ireland in 1998, and is regarded by the organisers as a ‘unifying figure’. Parade Chairman and president of Quinnipiac University, John Lahey, who has been on the parade board for twenty years, said that the organisers wished to invoke “the lessons of sacrifice and heroism, of love and tolerance embodied in the Irish spirit”. Activists had been protesting since the 1990s, and one of those groups, The Lavender & Green Alliance, were delighted to be finally marching in a parade that had been closed to them for so many years. Many prominent politicians had also boycotted the parade because of this exclusion, and New York’s Mayor, Democrat Bill De Blasio, had refused to march since 2014, agreeing to march this year because the parade organisers have included LGBT groups. “Today everyone is celebrating together. The city is at peace and unified”. 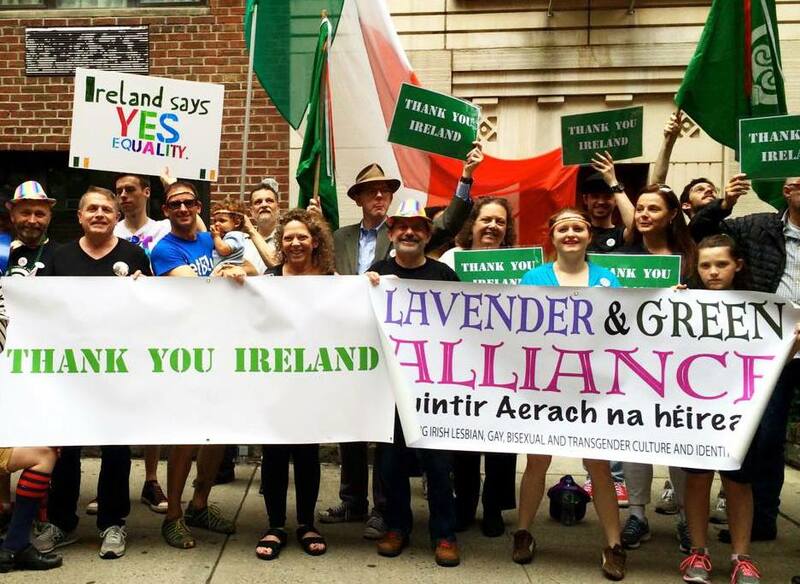 He also spoke before the parade at breakfast at Gracie Mansion saying that for “two decades and more, we had a blemish on our city”, but now, having worked together, he feels the whole city, including LGBT people, will be able to express their pride as Irish-Americans, LGBT Americans and New Yorkers. 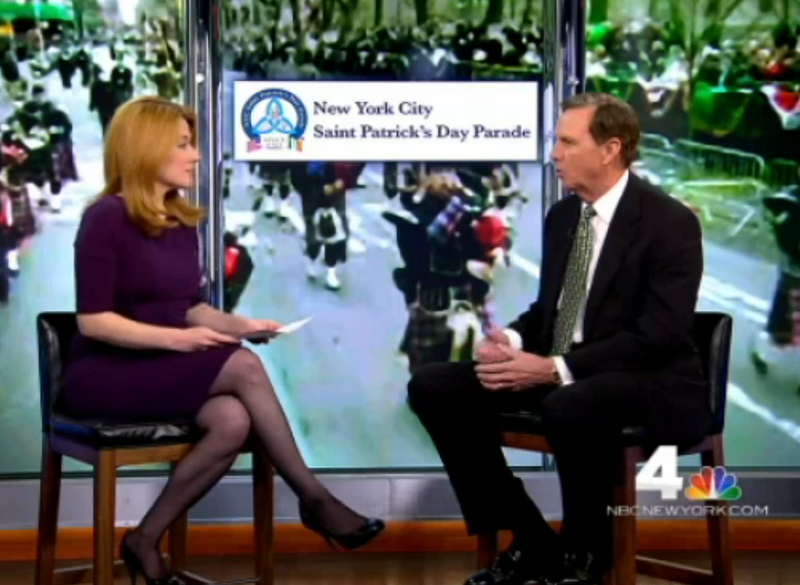 “I never thought I’d see the day when I could march up Fifth Avenue in the St Patrick’s Day Parade with my husband. When we started in 1991, after getting arrested so many times for protesting the parade, wow, what a moment this is”. Last year, the ban on gay groups in the Boston Parade had been lifted to include LGBT participation.